← Nursing Assistant: Is It a Worthwhile Career? One of the best fields to get into is the medical field. 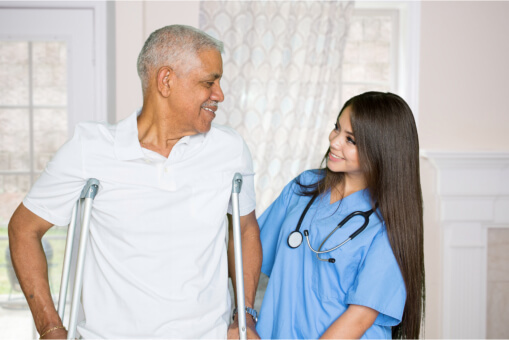 This is for a number of reasons such as good pay, the ability to help others, and the many valuable skills you will learn when you are participating in healthcare training in Dolton, Illinois. However, is it difficult to become a healthcare provider? The answer to this question will be different for everyone as it depends on their own willingness to accomplish their goals, the particular career they are going for, and so many other factors. The very first thing that you will want to keep in mind is your career choice. For example, becoming a doctor will be much more difficult than becoming a nursing assistant. However, since you are going to be in the healthcare field, it is important to give it your all as the health and lives of others will be in your hands. Some schools will be better than others when it comes down to the CNA / LPN programs in Illinois. So if you want to make sure you are giving yourself the best chance at success, it is important to find a good school that is able to provide you with the education, the knowledge, the skills, and training to excel in your chosen career. It does not matter what healthcare job you choose, it is important to enjoy it. Our nursing school in Illinois is full of exciting programs that will challenge you and ensure that you are able to reach your potential. In short, it can be a challenge to become a healthcare professional but if it is your passion, then it can be a fun and memorable journey. If you would like to find out more about our programs and training, please get in touch with Adonis College of Nursing (USA) anytime. This entry was posted in Medical Field and tagged career choice, college of nursing, training programs. Bookmark the permalink. 2 Responses to Is It Hard to Get into the Medical Field? I enjoy you because of all your effort on this web page. Kim really loves working on research and it’s really easy to see why. A number of us notice all of the compelling tactic you make functional thoughts via your website and as well as foster contribution from people about this article while our favorite daughter is really studying a lot of things. Have fun with the rest of the year. You’re the one doing a really great job. Thanks a lot for providing individuals with an extraordinarily splendid chance to read from here. It really is so pleasurable plus full of a lot of fun for me and my office friends to visit your web site particularly 3 times in 7 days to learn the newest secrets you have got. And of course, I’m just always satisfied with your spectacular strategies served by you. Selected two areas in this article are clearly the most efficient we’ve ever had.